There are few high-profile Christians as polarising as Mark Driscoll, who this week resigned in dramatic circumstances as lead Pastor of Mars Hill church in Seattle, USA. Over the past decade or so, Driscoll has been at the front and centre of so-called public Christianity. In the Christian world, he was a celebrity. Someone who didn’t take a backwards step, seldom battered an eyelid, and was unapologetically male. If I was to take a random sample of single-word responses to what people thought of when they heard the name ‘Mark Driscoll’, I’m pretty sure you’d get responses that include the following: angry, male, Calvinist, American, hard-line and loud. In my view, Driscoll’s rise to prominence coincided with the polarisation of parts of American culture. Driscoll’s public recognition and his church’s attendance levels rose sharply during the years of George W. Bush’s second term. It really gained steam in the 2004-2010 era though, as the nation was embroiled in an unpopular and polarising war, and led by an unpopular President (it should be noted that Bush’s approval ratings have increased significantly since leaving office, but that’s another story). In the same way that the Tea Party gave voice to the ‘radical right’ of American society, Driscoll arose as a powerful voice for right wing Christianity. Fuelling his passion was his anger at what he perceived to be the ‘feminization of the church’. In Driscoll’s eyes, what was needed was a return to traditional masculine values. And he wasn’t alone. All over the USA, a string of neo-Calvinist Pastors started to band together. Groups like the Acts 29 church-planting network and the Gospel Coalition started popping up to re-emphasise reformed Christianity (what I call, re-reformed). Part of this was to counter the growing popularity of the prosperity movement which included preachers like Benny Hinn, Joyce Meyer and Joel Osteen, who preached that if you gave more money to their ministry, God would bless you with even more money (or words to that effect). This made the re-reformed folk very angry, and helped give an important imperative to driving their theological agenda. But Driscoll went further. While many of his contemporaries were committed to the cause of a re-reformed Christian church, Driscoll embraced his ‘mission’ with a furious zeal. And it’s this that (I reckon) has brought him down. Now, it must be said that Driscoll did a lot of good along the way. Many people discovered the truth about Jesus thanks in large part to Driscoll's tireless preaching. It can be tempting to 'throw the baby out with the bathwater' when viewing Driscoll through critical glasses, but it must be remembered that he accomplished much good for the sake of the gospel during his tenure. But do the ends really justify the means? By this logic, if there's ultimately one 'good' outcome, it can justify a multitude of 'bad' events which led to the outcome. For anyone even vaguely familiar with the Bible, it's pretty obvious that God cares both about the ends AND the means (yes, I used caps lock for emphasis). So while Driscoll may have done some good, his methodology doesn't validate the outcomes. Because even though he did some things well, there was plenty of 'bad' too. During his years at the helm of Mars Hill there were numerous well-documented scandals. It seems Driscoll’s zeal also had toxic implications for his staff. Numerous bullying allegations, plagiarism allegations, fraudulent use of church funds… the list goes on and on. A cursory flick through the Christian Post or Christian Today reveal the full extent of the controversies surrounding Driscoll’s purported behaviour. His remarks regarding women came in for particular criticism. In fact, it's Driscoll's sermons that may have actually catapulted Rachel Held Evans from obscure blogger to Christian-feminist icon. But again, that's another story. Perhaps the most blatant example of Driscoll's attitudes to women emerged during an interview with Justin Brierley, the host of the 'Unbelievable' show on the UK's premier Christian Radio (which is a terrific show, by the way). For those unfamiliar with this interview, Driscoll accused Brierley's wife (a church pastor) of lacking legitimacy and being one of the main reasons that the church was not growing as fast as Mars Hill. This was the beginning of the end for Driscoll. I reckon if you were to track attitudes towards Driscoll, it was this interview that was the turning point between him reaching the peak of his fame, and his eventual downward spiral. In fact, it wasn’t really until the past 12 months that Driscoll’s re-reformed contemporaries started to actively distance themselves from him. In their eyes it seemed a line had eventually been crossed. The obvious question is – why the wait? These allegations may have been the proverbial ‘straw that broke the camel’s back’, but Driscoll’s abrasiveness, bullying and aggressive behaviour had been, well, pretty damn obvious for years. For example, a few months ago I was talking to a church planter who said that he’d been offered to partner with Acts 29 many years ago. He turned them down. Why? Because of Driscoll. In his words, “Driscoll was a time bomb. It was obvious that it was going to go off sometime soon, and I didn’t want to be near it when it did.” To use a biblical metaphor, this church planter had seen the writing on the wall (Daniel 5 for those playing at home). So why were these destructive character traits ignored so wilfully by so many? It’s not like Driscoll kept this a secret. As I said earlier, anger and aggressiveness were synonymous with his brand. I have a theory here that is sure to be divisive….. but screw it, I’ll say it anyway. I want to suggest that because Driscoll’s flaws were ‘personal’ rather than ‘theological’, he was tolerated rather than rebuked. My case study here is American Pastor Rob Bell. Now, for the record, I’m not a massive fan of Mr Bell. I think his theology is dodgy and his writing sloppy. But he was also a phenomenally successful Pastor… if you use Driscoll’s measure of success. In Driscoll’s eyes, his own success was purely numerical. His church had grown, and grown, and GROWN. And because of this, he was a successful Pastor. Well Rob Bell was no slouch in the numbers department. He was also pastor of a so-called mega-church (ironically from a church called Mars Hill too!). So, using Driscoll’s criteria, they were as successful as one another. For the record, numbers are not a biblical indicator of success (as evidenced by 2 Peter 2:2), so Driscoll is wrong here. But back to the story. 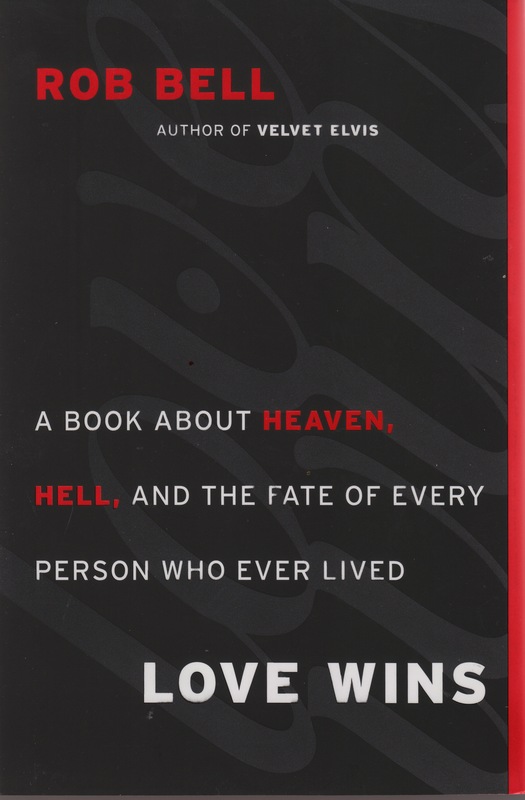 Rob Bell went on to write a book called “Love Wins” where he argued that no one was ever beyond the reach of salvation, even after they die. It was a rambling read and his arguments were very thin (yes, I did read it) but it wasn’t the worst heresy I’ve ever read (if you can have scales of heresy!). Piper had effectively classified Bell as a heretic, and before you could say ‘TULIP’, Bell was completely ostracised from the re-reformed movement in the USA, Australia, the UK…. Everywhere! You see, Bell’s sin was theological. He had espoused dodgy doctrine and was to be rejected for it. Now, whether that’s fair or not is irrelevant to this article. What it does show, though, is that the tolerance among mainstream evangelicals for anything that deviated from their re-reformed agenda was very, very low. So, what about Driscoll? By all accounts Rob Bell was adored by his congregation. There’s not a single allegation of bullying, intimidation or rudeness to his congregation. He was far nicer to women, minorities, homosexuals, and others – while Driscoll was acting as judge, jury and figurative executioner for many of these groups. Yet Bell was the one condemned, while Driscoll enjoyed the re-reformed community’s support. And I reckon that’s because Driscoll was sinful inter-personally, but Bell was sinful theologically. You see, I reckon there's an unhealthy preoccupation with sound doctrine at the expense of sound behaviour. In the re-reformed movement's haste to counter the prosperity gospel's doctrine, they lost sight of the fact that good and proper behaviour must carry as much weight as good and proper doctrine. In my opinion, you can’t separate the theological from the behavioural. Faith and works go hand in hand. Just ask the apostle James. Are we, as Christians, content to tolerate someone who is theologically sound, but personally bad? I reckon the church has been superb at rightfully criticising those who are personally good but theologically dodgy. But the consistency to view it from the other way around is often, sadly, lacking. I don’t know Mark Driscoll. But I know about him. And I’ve been slow to publically call him out on his misdeeds. Others I know picked this a long time ago. My friends Deb and Kimberly, in particular, have been on the record criticising Driscoll’s approach to ministry (particularly his (often draconian) attitudes towards women) for years. And yes, I did just use brackets within brackets. What can I say, I was feeling it. To the elders among you, I appeal as a fellow elder and a witness of Christ’s sufferings who also will share in the glory to be revealed: be shepherds of God’s flock that is under your care, watching over them – not because you must, but because you are willing, as God wants you to be; not pursuing dishonest gain, but eager to serve; not lording it over those entrusted to you, but being examples to the flock. We can’t separate our leaders’ theology from their behaviour. Both must be in accordance with good and proper behaviour (1 Peter 2:12). I reckon this is the lesson we must heed from Mark Driscoll. So how do we respond? One of the first responses is to pray for Driscoll, his family and his church. It's tempting to get our tall poppy syndrome on and rejoice at someone getting taken down a peg or two, but this isn't biblical. If Jesus took that attitude then none of us would be left standing. We have to be prepared to forgive Driscoll if he is prepared to ask for forgiveness. We shouldn't rejoice at his demise, but rather we should pray for God to "re-work the clay" (a la Jeremiah 18:1-6) from something flawed into something good. Something he is doing in all our lives, everyday. And secondly, we should pray for our own church's leadership. Let's be honest, shepherding a flock is no cakewalk. I can't even imagine how tough it would be. So let's pray that our leaders would be people of integrity. Of sound mind and judgement. Finally, if your Pastor is sound theologically, but is a dodgy person – don’t stand for it. Let’s be a church that’s admired for both our soundness of mind and soundness of body. Good piece Dylan. I agree, it went on far too long (and other mega church megalomaniac leaders are still going on). This is my issue with mega churches, how can you be under the teaching of someone and not know them or them know you? If you don't have a personal relationship with your pastor how can you possibly rebuke them? I suspect Driscoll started off with great intentions (and I've learned a lot from some of his sermons), but in the end he drank the koolaid and not enough effort was made to make him put the glass down. It really saddens me as his congregations will feel his loss and it reminds me that we are to follow Jesus, not a particular preacher who says savvy things. Hi bro: great piece - but there's a few issues I disagree with! I will start by saying i think Driscoll has deserved the flack he's got, and it's right he's stepped down: it's crushing to realise that he appears to be, from all accounts, a major league jerk. But I think some of your critique misses the mark. Firstly, I don't think it's correct to describe Driscoll as a "powerful voice for right wing Christianity" - in fact, I don't think Driscoll was/is right wing at all. He used his pulpit to bag Bush (and Obama) and I think it's a bit off target to interpret Reformed Christian conservatism (a biblical view of marriage, women's role in ministry and the home etc) as being right wing. View Sydney Anglicanism for example: critics from the outside often throw insults like the "Christian right" and "right wing fundamentalists" at the Sydney anglican church: but any even cursory observation of the Sydney Anglican church will realise this is incredibly simplistic. Synod is voting currently on a motion to express it's distaste with the current asylum seeker policy, as it has done for the cut in funding to welfare and international aid, or environmental issues. Hardly the act of rabid right wingers! Driscoll might be a jerk: but his views on women, sexuality etc are consistent with mainstream conservative reformed Christianity. Which is very different to being conservative politicly. It's just the way he expresses himself which is offensive more than his views. Secondly, it's a small one, but even though Rob Bell and Driscoll both had churches called Mars Hill, it was coincidence: they are not and have never been in the same network of churches. Also, Driscolls teachings were not heretical, as Bells have been (if you judge heresy as teaching a Gospel other than that found in 1 Cor 15, which he does...on Oprah recently!). No doubt his jerkness was tolerated far, far too long: but he and bell are apples and oranges. The very nature of ministry means that personality flaws are harder to discern, sometimes, than what is preached from the pulpit. I agree wholeheartedly though: how we live should reflect what we teach - and he was tolerated far too long. Lastly, I actually don't think that interview with Brierly signalled the beginning of the end: simply because the view he was expressing, crudely and like an idiot, but nonetheless is part of conservative reformed theology...kinda. I think the start of the downfall happened after he published "A call to resurgence" - where he argued that partnership with pentecostals: even prosperity pentecostals: was a positive thing. He even began to share stages with well known prosperity preachers and movements (no names...ahem). This came to a head at John Macarthurs anti-pentecostal "Strange fire" conference: which driscoll ambushed and caused a scene. This, and his book, actually ostracised his core following: conservative reformed evangelicals, who began to question, and then dig into his background: culminating in the infamous Janet Mefferd interview where he was accused of plagiarism, and taken to task for the Strange Fire debacle. From there, it all unravelled. Why does this matter? simple. In my opinion it was because he moved away theologically that his core started to have enough with his obvious personality flaws: which is a damning inditement against us. Anyway...that's my take! Dave - I think Driscoll's views on women, marriage etc (while arguably biblical) is very right of centre. Or at least, anti-liberal. And his views are certainly in line with much of reformed Christianity, but that's the point I try and make? And you make a good argument re: the timeline of when his downfall began. Not sure there's as much disgreement between us as what you think though? Liesl - Whether his theological views are 'dodgy' depends on your point of view. See dave's comments above; in his mind Driscoll's views on this matter is in line with reformed doctrine. Many disagree though. The point is that the re-reformed folk didn't think his theology was bad (like it or not); whether his theology is good or bad is contestable. His behaviour was out of line regardless of your theological standing though, which I guess is the bigger point I was trying to make. Hm, suspect i lost this the first time. I think that it is not the theological credentials or creeds that is at stake here, rather it is more about the cult of personality that was built up around Driscoll, and that is certainly not unique. Rather we see the same sort of implosions and resignations across a wider range of the church including many non-conservative Reformed Evangelicals (American Baptists and global Pentecostals rank highly here). This case got significant air time because traditionally conservative evangelical Christianity has rejected personality as a mark of following, in the 1 Corinthians mould. This is one of a handful of such incidents, and hence gets the attention. However, i think that there is also something to be said about the place of the congregations and pew-sitters in this interaction. Across a broad spectrum of the church there are strong tendencies towards cults of personality etc. Ultimately I think it comes down to a complex web of social identity construction and formation. Planning on blogging about it tonight, will link in when I do. Hi mate: sorry - I should have started by saying I agree with 95% of what you said! 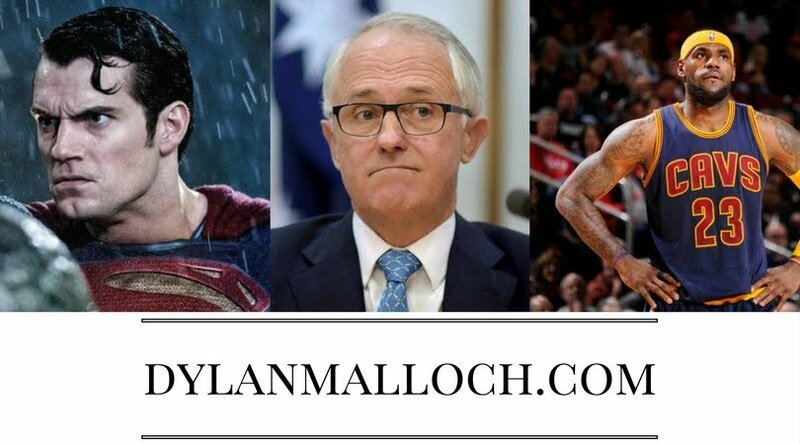 I strongly dislike using political terminology to describe theological positions (it's like saying Steve Waugh is great in defence at footy - they're both sporting terms, it might be true: but it's not an accurate representation of cricket!) : although I understand they overlap and are commonly defined by the media that way. However my opposition to it comes from the thought that Driscoll is the way he is because of politics: not true, as far as I know. It's because of his theological interpretation: right or wrong. besides that - bravo! Nice work, DMan! Agreed. The character of an argument is just as important as the content. However, bad theology draws God's character into question whereas bad behavior draws one's own character into question. Both are wrong and damaging but that is why I think bad theology is the greater monster here. God is perfect and immutable but we are constantly in need of correction and improvement. (Just my two cents worth.) Love and appreciate how you ended redemptively - so important. Sorry to intrude in your blog anonymously, but can I ask if you have personal experience of Driscoll and his ministry or are you just pontificating to make yourself look holy in front of your church buddies? Hi Anonymous. Tell you what, champ: if you want me to dignify your snide comment with a response how about you post using your real name?